Southeast Grocers is the parent company of the Southern grocery chains BI-LO, Harveys and Winn-Dixie. The affected 1.5-pound packages of the brand’s chicken were shipped to stores in Alabama, Florida, Georgia, Louisiana, Mississippi, North Carolina, and South Carolina. 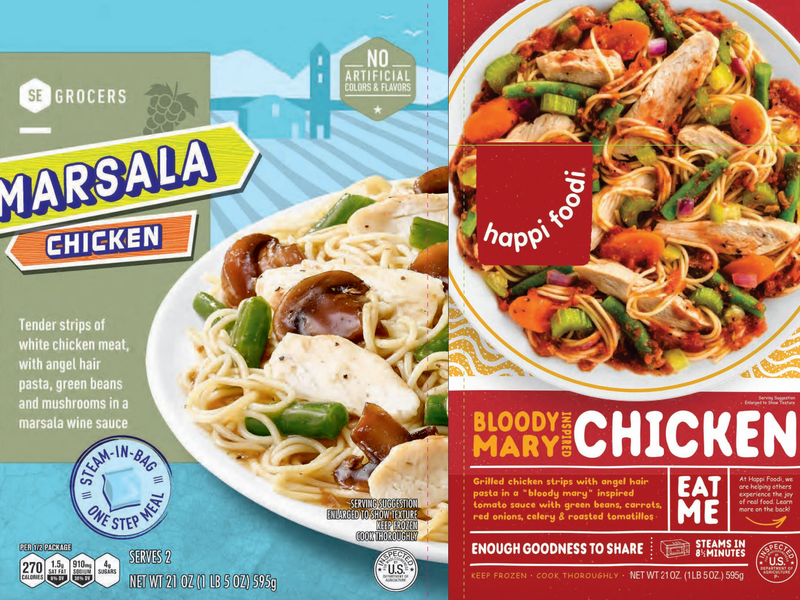 Southeast Grocers Brand Marsala Chicken have the use by dates of February 8, 2020 and March 3, 2020; Mediterranean Herb Chicken packages have the use by dates of February 7, 2020 and March 4, 2020. The issue was discovered on February 8, in a review of the chicken products‘ labels. The USDA reports that there have been no reports of illnesses or other adverse reactions related to the chicken.